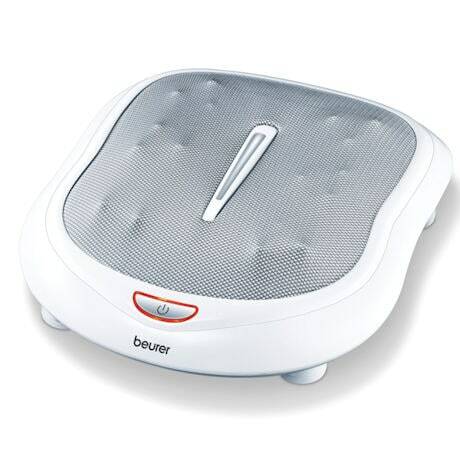 The Beurer Shiatsu Foot Massager lets you take a break from your workday without ever leaving your desk. 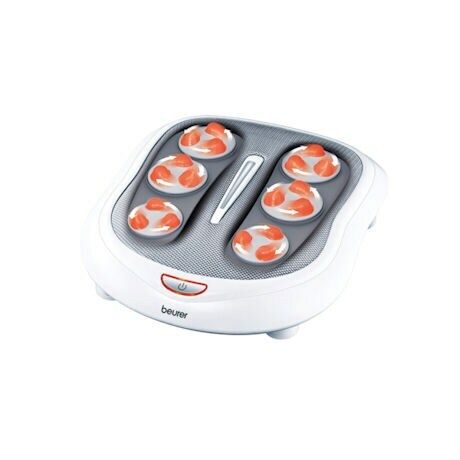 Simply select one of two massage speeds. Then eighteen massage nodes stimulate pressure points along the soles of your feet to help ease tension and promote tranquility. Optionally activate heat therapy to soothe sore muscles. 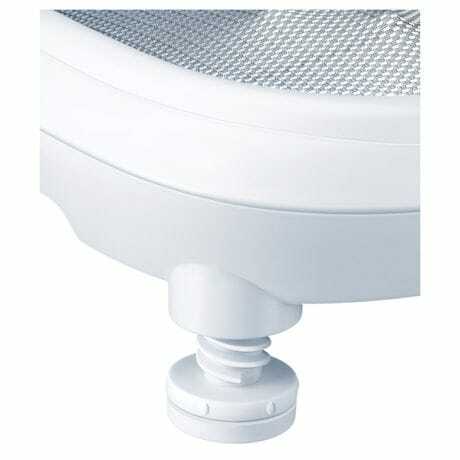 Adjust the angle of the shiatsu board and height of the foot pads to target your massage where you need it. White. 14" W x 17" L x 4" H.